Flexibility: Dedicated PTO, dual spark option, side induction. 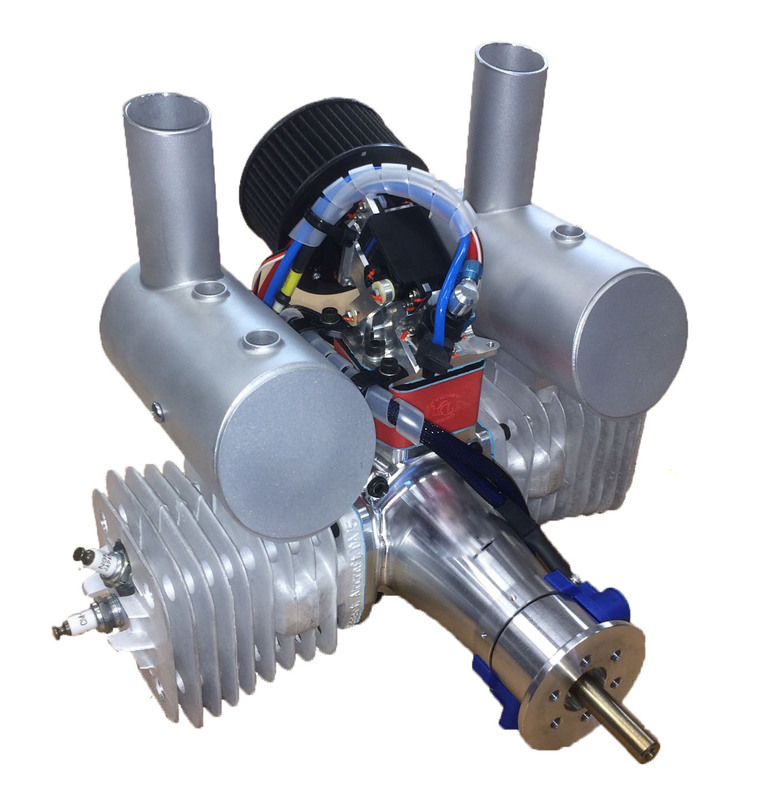 Compatibility: Readily integrates with flight control systems; available with Currawong ECU or Power4Flight IntelliJect EFI. 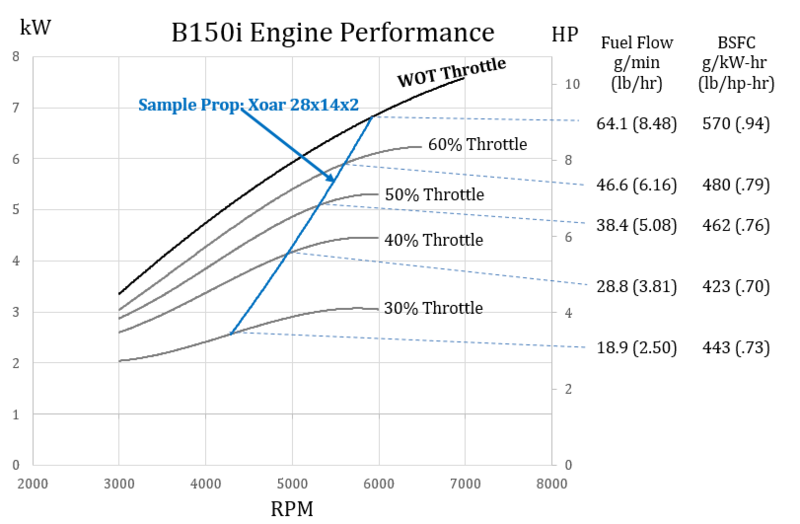 Engine power vs RPM at different throttles shown in black/grey. Sample propeller power curve shown in blue.